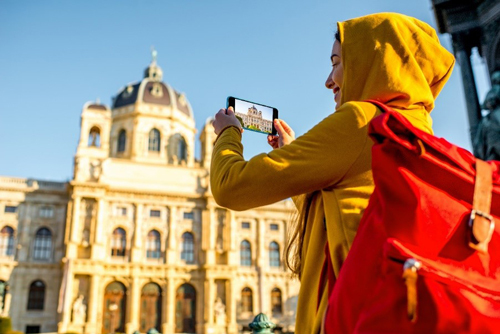 A Facebook-like social platform and a series of smartphone apps are on the way to promote citizens’ active involvement in bringing out their local cultural environment and in safeguarding and enriching the European cultural heritage landscape. The Institute of Communications and Computer Systems (ICCS), the Piraeus Bank Group Cultural Foundation (PIOP) and Clio Muse have started working together with a European consortium of nine partners from Greece, Italy, Slovakia, Spain and the UK, on PLUGGY, a new EU Project which is funded with around €2.3 million by the EU research programme Horizon 2020 and is aimed at promoting citizens' active involvement in Europe's rich cultural heritage. 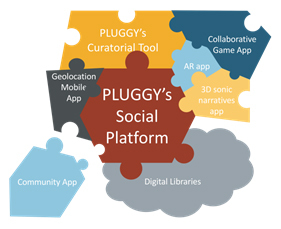 Over the next three years, PLUGGY is expected to launch an inventive, Facebook-like social platform as well as a series of Augmented Reality, Geolocation, 3D Sonic and Gaming smartphone apps that will enable citizens across Europe and the world to shape and pass on both individual and collective cultural experiences, thereby enhancing the value of cultural heritage and contributing towards its enrichment. Through PLUGGY’s social platform and by using its innovative curation tools, citizens will be able to act as skilled “storytellers” by creating fascinating personalized stories and sharing them through social networking with friends, associates and professionals. The content will be both crowd-sourced and retrieved from digital collections, allowing users to create links between seemingly unrelated facts, events, people and digitised collections, thus leading to new approaches of presenting cultural resources and to new ways of interacting with them. An Augmented Reality app to liven users’ stories inside and outside. This app will include virtual models and overlaid information to enable its user to experience differently a cultural heritage point of interest. A Geolocation Mobile app to showcase the geographical information of points of cultural heritage. The app will notify the user about nearby interesting ‘encounters’, targeted to outdoor activities. A 3D Sonic Narratives app with focus mainly on audio and will employ advanced 3D acoustic techniques for a more accurate and realistic rendering. A Collaborative Game app where participants will be enabled to work and play together to compose a comprehensive story around a specific cultural heritage topic. PLUGGY, the Pluggable Social Platform for Heritage Awareness, addresses the need of citizens to be actively involved in cultural heritage activities, not only as observers but also as creators, maintainers and, indeed, major influencers. During the project’s kick off meeting, held in Athens on 12th – 13th December 2016, partners defined the future research activities and developments, while carefully designing an integrated communication action plan which is expected to enable multiple target audiences (Cultural Heritage and Art Professionals, national authorities, heritage communities, etc.) to actively participate in all the research phases of the project.